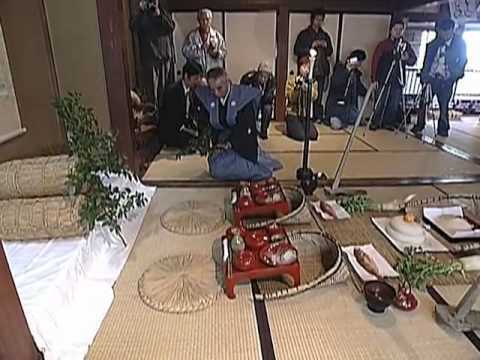 اليونسكو » ثقافة » التراث غير المادي » القوائم » "الأوكو-نوتو نو آئنوكوتو"
Oku-noto no Aenokoto is an agricultural ritual transmitted from generation to generation by the rice farmers of the Noto Peninsula, which projects from Ishikawa prefecture in the centre of Japan’s main island, Honshu. 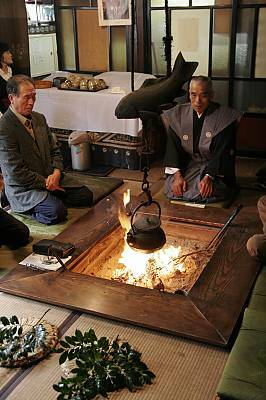 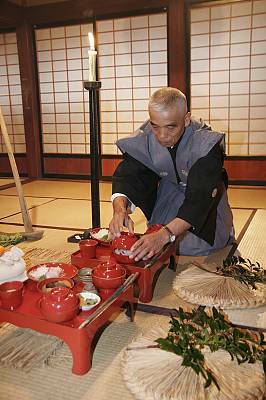 The twice-yearly ceremony is unique among the harvest rituals of Asia in that the master of the house invites the deity of the rice field into his home, behaving as though the invisible spirit were really present. 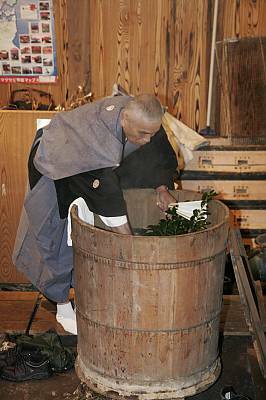 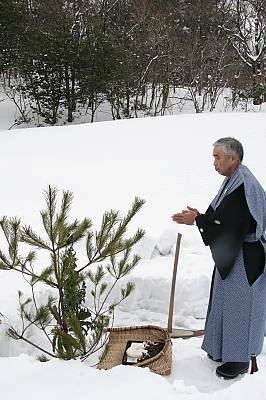 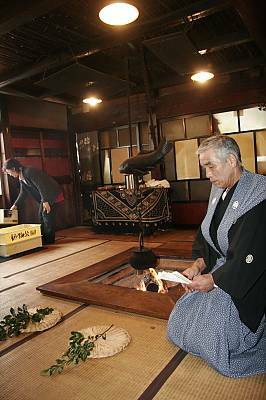 In December, to express gratitude for the harvest, the farmer draws a bath and begins to prepare a meal, summoning the deity from the field with the sound of pounding rice cakes. 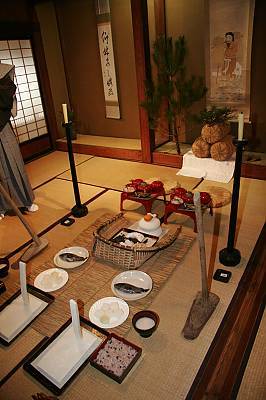 Welcoming his guest in formal clothes with a lantern, the farmer allows it to rest in a guest room before assisting it with a bath and offering a meal of rice, beans and fish. 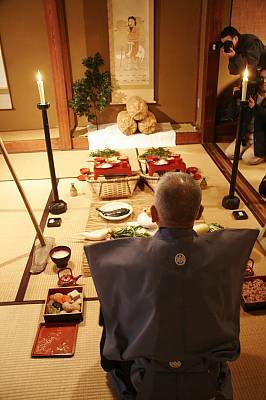 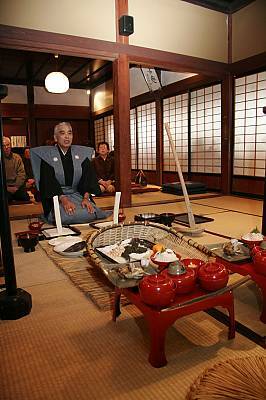 Because the deity is said to have poor eyesight, the host describes the meal as he serves it. 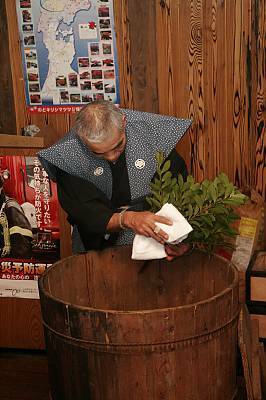 A similar ritual is performed before planting in February to ensure an abundant harvest. 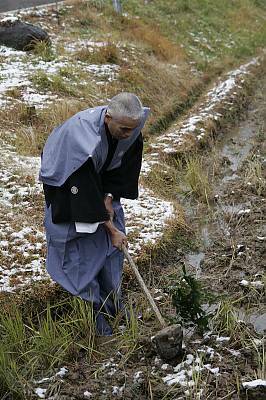 Performed with individual variations throughout the region, Oku-noto no Aenokoto reflects the everyday culture of the Japanese, who have cultivated rice since ancient times, and serves as a marker of identity for the area’s farmers.